Or the wrong structure overall to support their individual body type – arms in the incorrect position, headrest against the neck instead of the head, legs cramped to your chest or dangling above the floor, etc. There is no plausible excuse for sitting in a chair that is uneven for your body type when there are so many chairs on the market today to suit each individual’s needs and wants. Perhaps you find typical office chairs too warm for the different seasons or you find that you prefer an office chair that you can adjust the arms or maybe due to back issues, you need a chair that is ergonomically correct. Well, today we are going to discuss three office chairs that fit each one of those specifications and the best part – they are not going to break the bank! So what are these chairs? The 123Ink.ca line of Moustache Mesh Office Chairs. 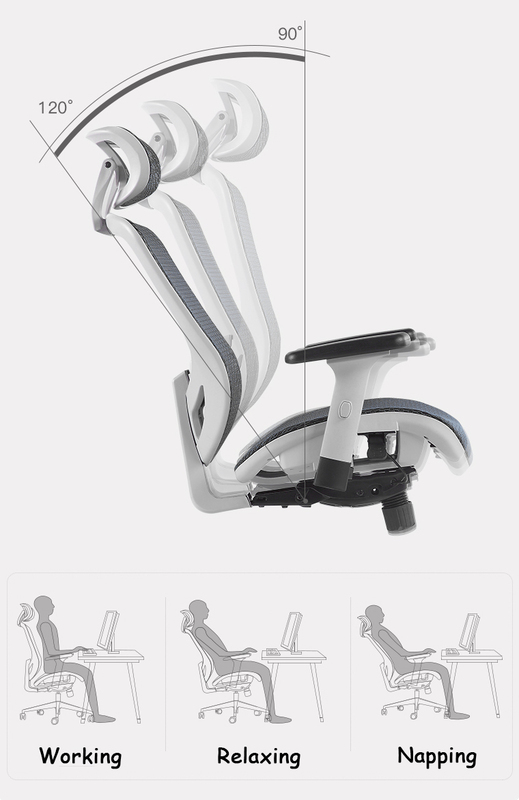 The Moustache Mesh Office Chair with fixed arms is exactly how the heading suggests. 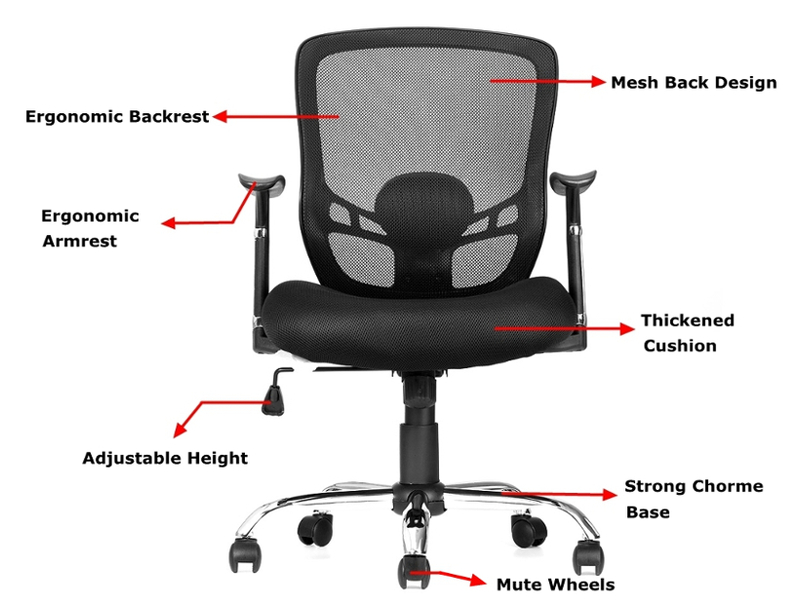 It is a full mesh material office chair that has arms that are stationary but situated in a such a way that the elbows are always straight and the arms supported without draping over the sides of the chair. Featuring a lumbar support system in the back of the chair, there is no way this office chair is a bad idea for your body. This mesh office chair comes complete with a standard adjustable height level so you are able to touch your feet flat on the floor with ease and a sliding seat that brings the arms with the chair as it adjusts. The chair is designed to reach mid-back on the occupant to maintain proper posture without slouching and damaging the back in the long run. The Moustache Mesh Office Chair is very similar to the first chair we looked at, with the adjustable heights, sliding seat cushions, the lumbar support system in the back and an overall comforting design that reaches mid-back for proper posture and pain relief. The difference? This chair also features arms that can be flipped up toward the back of the chair if you prefer no armrests for certain tasks at your desk. When the armrests are in place, they are a good height for the chair, allowing for proper typing positions without arms flying everywhere but when you need some more movement? Flip the arms out of the way and continue! The Moustache Ergonomic Mesh Office Chair is a full mesh design for lumbar support and ventilation, so the chair never overheats and is naturally moisture-wicking, but it also features a suspension mesh seat. This suspension mesh seat offers a level of bounce and gives that is not generally found in an office chair while being fully adjustable to suit the occupant’s body type. A new world has been discovered and that is the Moustache’s line of mesh office chairs. These chairs are fairly and competitively priced so they don’t break the bank, they offer the upmost comfort and support for all body types and there are even options for different colors if you find your office needs a pop of brightness to chase away the dreary workday blues. Why not head over to 123Ink.ca today and be sitting in comfort by the weekend? These chairs make sitting easy after all!